Who is Sandy Densem - Artist? 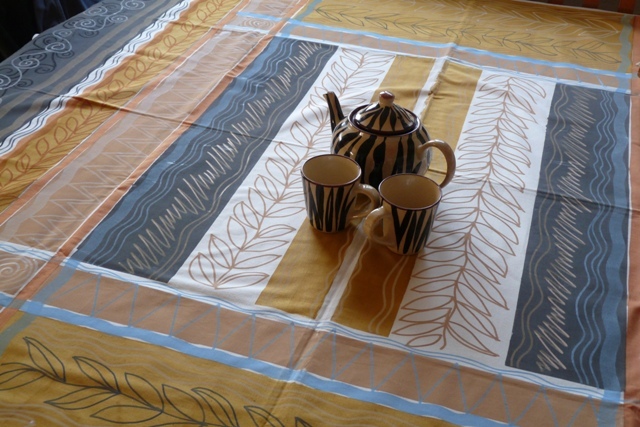 Individually hand painted fabrics, table cloths, table runners, cushion covers. 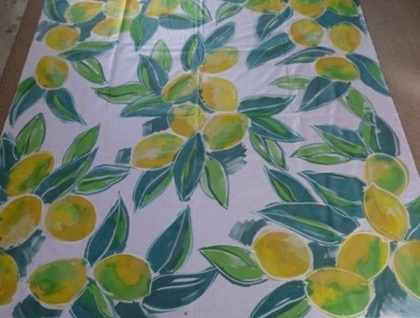 Each cloth is like a huge water colour painting. I love the colours and brush marks of the post Impressionists; enjoy Classical music especially in my studio; colours in nature, spring and autumn especially, as well as winter trees are the things that inspire me. Wellington Affordable Arts, just to see who is doing what; the Oxford Craft and Arts market, UK for the same reason; and the Wearable Arts as I haven’t yet seen it. My kids have flown the coop and live in the Uk so my time belongs to me, also have an incredibly supportive husband who believes in what I do! Just want to be recognized for the effort and hard work and skill that I put into all of my work. And of course I would love to live in Tuscany, paint wonderful things eat gorgeous food and drink the wine. Is that too much to ask? A very enjoyable interview and wonderful work!! 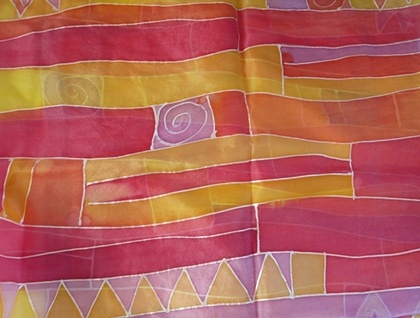 What gorgeous silk scarves. So pretty!